Hair loss and hair thinning are unfortunately experienced by the majority of men as they age. It’s natural and inevitable, like grey hair or wrinkles. However, as with the signs of ageing, there are things that you can do to improve thinning hair. These include promoting new growth, reducing loss and increasing the diameter of individual hairs. Caucasian men are most likely to have male pattern hair loss, and a degree of hair thinning probably occurs in 100%. 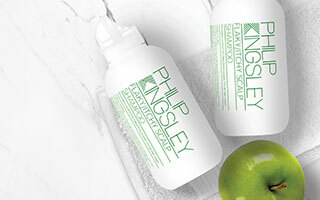 This ranges from a slightly receding hairline, a thinning crown, an overall reduction in thickness, advanced receding from the forehead and very thin hair, to being left with a ‘horseshoe’ of hair that grows around the scalp from ear to ear. The size of the horseshoe can vary, depending on genetic predisposition and the age thinning started. Hair loss occurs less frequently in black men, by about 50%, and the degree of loss also tends to be less. Asian men and American Indian men are least prone to hair loss. Male pattern hair loss can occur in both men and women, but is more common and also pronounced in men. Male pattern hair loss doesn’t start until puberty, except in extreme cases where genetic predisposition is strong. This is because you can’t have male pattern baldness without having androgens (male hormones) – the most important being testosterone - which don’t increase until puberty. Androgens also cause your voice to deepen, your sexual organs to mature and your facial, body and pubic hair to grow. You may notice that men with obviously thinning hair, and those that are bald, have more hair on their body, particularly their chest and back. There is a reason for this. The same hormones (androgens) that cause body and facial hair to become longer and stronger cause scalp hair to fall out in those with a genetic predisposition and follicle sensitivity. Male pattern hair loss only occurs if you have a genetic predisposition - that is, if your follicles are sensitive to the action of androgens. The medical term for male pattern hair loss is androgenetic or androgenic alopecia. Alopecia is hair loss, and androgenic is androgens (male hormones) plus genetics. Hair loss can be passed down from either your mother or father’s family. The exact mechanism that causes androgenic alopecia is the conversion of testosterone, by the enzyme* called 5-alpha-reductase, to dihydrotestosterone (DHT). This enzyme is found in your dermal papilla cells, as are the androgen receptors that bind DHT. The amount of androgens produced, testosterone being the main one, doesn’t need to be excessive in order to cause hair loss. 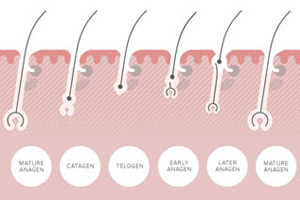 Normal levels of circulating androgens, or even sub-normal levels, can cause hair loss if you are genetically predisposed and have androgen-sensitive follicles. The more sensitive your hair follicles are to androgens, the more they will affect your hair. However, if your follicles aren’t sensitive to androgens, only excess amounts will cause hair loss. *Enzyme: a protein that speeds up chemical reactions in your body. We lose hair every day - losing up to 70 hairs a day can be normal. However, hair loss or thinning hair occurs when you lose more hairs than you replace, or the replacement hairs grow back finer or not at all. If you have androgenic sensitivity, androgens can shorten the growth cycle of your hair. And your hair doesn’t remain in the scalp unless it’s growing. On average, a hair should grow from your scalp for four years, but the action of androgens can reduce this over time. 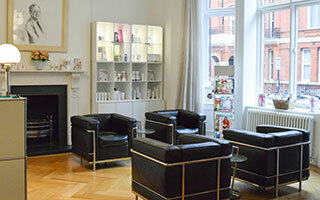 If you would like to find out more, our clinics based in New York and London specialise in hair and scalp issues.